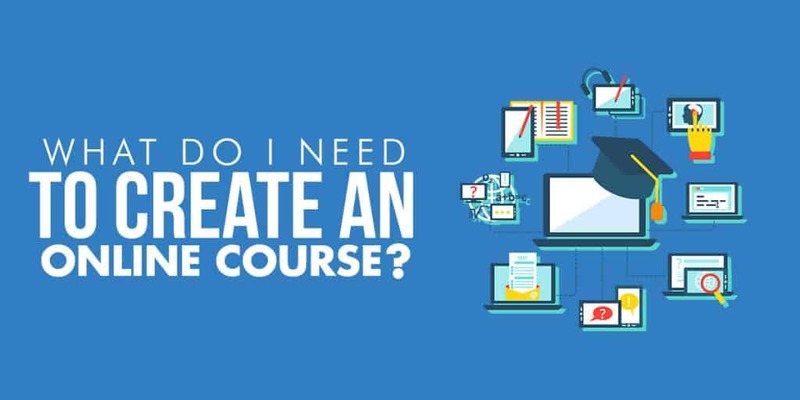 Are you interested in creating your own online course, but you aren't sure where to start? What do you need to create an online course? The two main things you'll need to create an online course are a good idea, and a commitment to do the work needed to turn it into a course. It should be a topic people are interested in and willing to pay for. You'll need to outline the content for your course, and have time available to create it. Then you'll need a platform to host and sell your course on. To start creating an online course, you'll need an idea. Something you're passionate about teaching to others, and something that you think people would pay to learn about. You don't even need to be an expert. You can present yourself as simply a curious novice, teaching others what you learn yourself as you go along. You should have at least some basic experience with the topic you're teaching about, but you don't need to be able to teach it at the level of a university course. You probably have several talents and skills that you know enough to create a course about. It could be a favorite hobby like cooking, tai chi, or interior design. Or it could relate to your work if you are an expert in hiring staff, productivity or marketing for example. It should be something you'll find enjoyable to teach other people about as you'll likely be working on it for weeks or months. Creating an online course is a big commitment, so your topic has to be something you can stick with for the long term. You need to make sure there's demand for your topic. Okay, so there is some limitation on the whole “make a course on something you're passionate about” idea. It has to be something other people would be interested in too. You might be the world's leading expert in making homemade boots for dogs. Maybe you have a handful of different patterns for sewing together dog boots. But if no one out there wants to pay you to learn how to make dog boots, you're going to struggle to sell your course! You don't want to spend weeks or months creating the perfect course, only to have nobody buy it because you picked a bad topic. You can read more about how to do this in my article on how to validate your idea and how to ensure you choose an online course topic that sells. People might be interested in a certain topic, but unwilling to pay for it. For example, making a course about frugal living might not be a great idea. Because many people in that target audience will not want to pay for it! Are there any existing online courses on the topic you're considering? That can be a great sign because someone else is already making money from the same idea. Some competition is good since it lets you know there's a market, but you might want to avoid over saturated topics where you'll be competing against dozens of other courses. Try to identify a gap in what your competition is offering or to approach it from a new angle, or you could consider even take the same topic and targeting it towards a different group of people. You can also compete with existing competitors by making a course that's more in depth or contains extra information that they missed, or potentially making it shorter and more concise aiming it more at beginners. You should have an existing online audience that you can survey to understand what they'd like to learn about. Sometimes you'll have a good idea about this because people will be asking you questions on your topic all the time, but even then it's still always a good idea to ask in more depth what people would want from a course, so you know you'll make something that has demand. If you don't already have an online audience (for example on your blog, YouTube channel or Instagram following), it would be better to spend your time building one first, before you create an online course. Otherwise you'll spend many hours making a course without knowing that people want it and then you'll also have no one to launch it to. Your outline will act as your course curriculum. It takes your overall learning objectives that you want people to learn in your course and breaks them down into individual modules and lessons. Start small. You don't need to start your online empire with a massive flagship course. Before you make a giant in-depth resource, it's often better to start small with a proof of concept instead. Especially if it's your first course. Your first online course might just be 5-10 short videos and a few downloadable worksheets. Don't pack too much content into each lesson either. Your videos only need to be 5-15 minutes long. I'd avoid videos longer than 20 minutes or students will start to lose interest, no matter how interesting your presentation is. Sometimes the hardest part in creating an online course is finding the time to actually do it. Either set aside a chunk of days to work on it or set yourself a little bit of time every day to for it. Even if it's only 1 hour every evening. You'll be surprised how much that will add up. Over a month, just an hour of work per day will be 30 hours. That should help you make a solid start on your course! The important thing is to keep moving with it and not give up. If you do that, you will create an online course. Don't get too caught up on production quality for your first course and spend too much time trying to make everything perfect. It will take up a big chunk of your time, and you'll never get it absolutely perfect. Just focus on making progress with it and moving through the work step by step. If you put you all into it, your students will almost certainly love your course, even if you can't afford the most expensive video camera or microphone yet. You can always come back and re-record sections of it later based on feedback, but in the beginning the important thing is to put the time and get the work done. If you wondering how much time you'll need, then check out my article: How long does it take to create an online course? Before you start your online course project, you should decide how much you are able to spend making it. If it's the first online course you're creating, you'll might be bootstrapping it and doing most of the work yourself. But you'll still need to budget some money to pay for any web hosting, software, or equipment you need to create your course. Expect to spend at least a $100 – $500 to create your course. You could create a course an online course for free if you use an existing webcam and microphone, and then upload it to an online course marketplace, but investing at least a little bit in your project will make it far more profitable in the long run, and I highly recommend having enough budget to sell it from your own online course platform. If you are thinking of going the budget route and selling your course on an e-learning marketplace like Udemy, then check out my article on whether Udemy is worth it for instructors first. In addition to a budget, a big part of putting your course online will be determining your pricing. This will depend on a bunch of factors including the size of your course, the value of the information provided, and how much time you spent to create it. It's good to compare against what similar online courses are selling for and price accordingly. If your course offers a similar amount of information and value, try selling for the same price or a little less. But if you have a more comprehensive online course you can definitely justify charging a higher amount. Are you going to host your online course on your own website using a Wordpres LMS plugin? Or opt to use an online course platform like Teachable or Kajabi? Or an online course marketplace like Udemy or Skillshare? Each choice comes with its own pros and cons. You can read in more depth about the differences between these online course platforms here. Hosting the course on your own website means you'll get 100% of the income. But you'll need to do a lot more work to get everything set up including various plugins and software. And you'll have to handle a lot more work behind the scenes like customer service, billing, and refunds. Having your course hosted somewhere else takes a cut of your profit, but a lot of the administrative tasks and collecting money is done for you automatically. Do I Need A Marketing Plan For My Online Course? In short, yes! You'll need to focus a significant amount of time and possibly money into marketing and promoting your course. There are many different ways to do this, and to begin with just picking one method and doing it well is the best approach. This might be putting out a lot of YouTube videos, or content marketing with quality blog articles, or you might decide to focus on paid methods like running Facebook Ads or Google Ads. Whichever method you choose, it's important to realise that this is a big part of selling online courses. Even if you use an online course marketplace, you should still look tp promote your course in order to receive a decent cut of the revenue. Do I Need An Email List, A Website, Or A YouTube Channel? For your course to really be successful, you should ideally have an email list, a YouTube channel, or an existing blog. Especially if you plan to save money by spending less on direct marketing. You'll need an audience that you can direct to buy your course. These should be people you've given plenty of free value to in the past who will be eager to buy what you offer. That way when you launch your course, you'll instantly get a huge number of sales within the first few days. If you don't already have a following or some way to stir up initial business, it's never too late to start and my advice would be to focus on this first and then create your course.